The car-sharing service wants to raise $75 million. 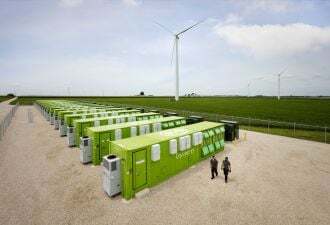 Bloom Energy wowed the world with its solid oxide fuel cell earlier this year, but the two questions hanging over the company are whether its energy servers will be cost-effective over a ten-year period and whether the company can make them in volume. The company took a small step toward answering question number two today by hiring George Nguyen as Chief Operations Officer. Note that that's not Chief Operating Officer, i.e., the person who oversees corporate administration, but Chief Operations Officer, or the overlord of output. Until recently, Nguyen served as senior vice president of operations at Hawker Beechcraft Corporation and effectively oversaw 6,500 employees. He also previously worked at Eaton, Honeywell and United Technologies, old-line industrial companies that will likely play an outsized role in the green industry as it moves from lab to implementation. Expect companies like this to buy Silicon Valley startups over the next few years. Honeywell, for instance, recently bought Akuacom, a building management specialist. These companies, along with utilities, will also increasingly serve as talent pools. Earlier this year, Cisco lured Paul De Martini from Southern California Edison, while Grid Net hired Andres Carvallo and his Rolodex of Many Wonders from Austin Energy. Adura Technologies, meanwhile, is run by Jack Bolick, who spent years at Honeywell, and Andrew White left General Electric last year to head up Trilliant. IT execs have flocked to green for years: eMeter's Gary Bloom and Bill Watkins at Bridgelux are two of the more recent IT converts. But the flow of managerial talent from equipment providers and utility providers has just begun. Finally, National Semiconductor released its SolarMagic product as a chip set today. The first version of SolarMagic, which boosts the individual performance of solar panels, looked like a piece of industrial equipment. It only sold about 1,000 units, according to sources. This new version is about the size of a DVD drive for a notebook and will clip onto the solar panel. National is already talking to as many as ten panel manufacturers. We heard rumors about this earlier in the year and the company showed us the device at the GlobalPress Summit in Santa Cruz in April. 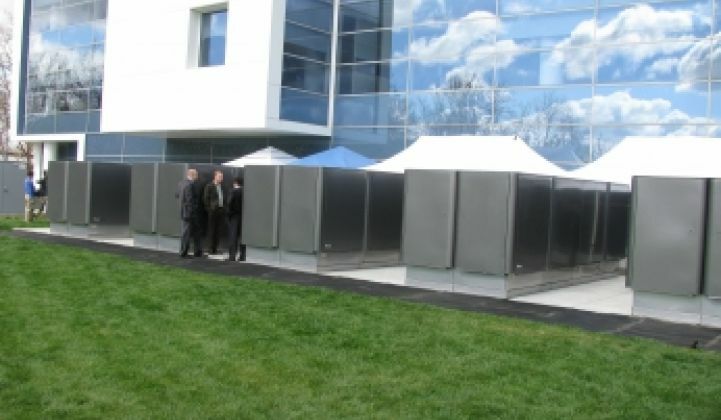 The company will show the device off again in San Francisco at Intersolar in July.